... on a Monday (again ... opps). A very hectic week, a houseful of family and friends for the weekend ... and so an early night last night was needed! 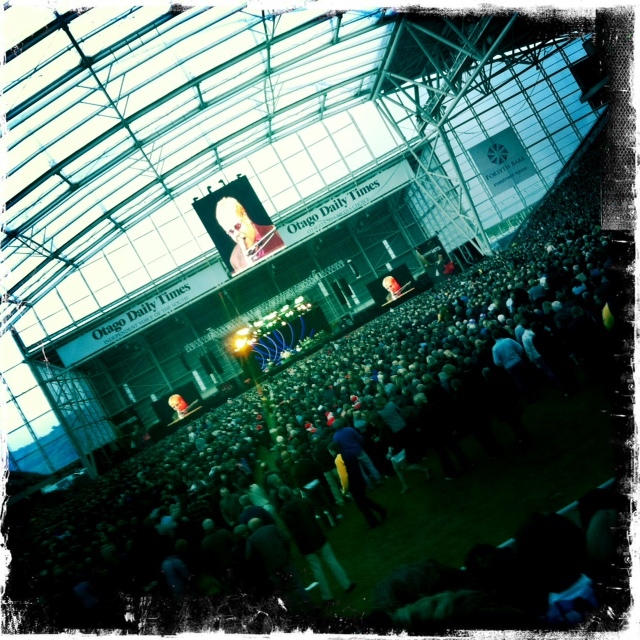 Friday night was a big night in Dunedin ... ok it was huge! The numbers of people in town on Friday was amazing, so many travelling from out of town, most hotels/motels were booked out and all for the man ... Sir Elton John. 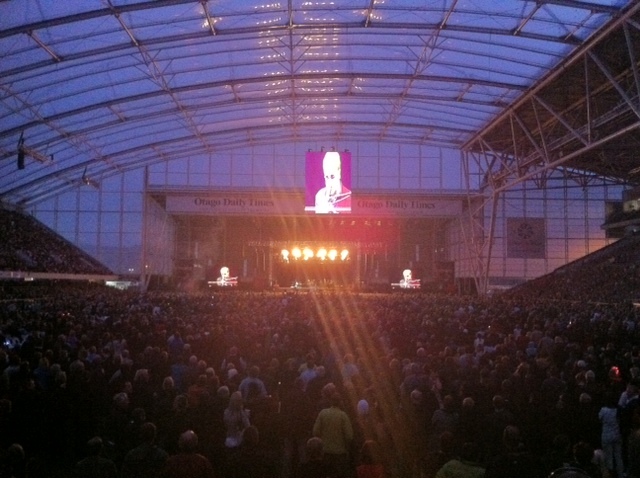 The first major act to play a concert in our new roofed stadium, hopefully the first of many! On the night along with 35,500 other people I sang and boogied away to Elton. I had no level of expectation before the concert, I knew a couple of his songs but found I actually knew more than that. He played his older stuff, some new ones, and all the favourites - Crocodile Rock, Daniel, Rocket Man and the last one Circle of Life (from Lion King movie). Hoping this week will be a tad quieter on the work front, as I know the next few after that will be pretty hectic in the run up to Christmas. Need to get my lists written, pressies purchased, gear organised for camping, and take some time to breathe and relax in the spare moments! Rocket Man ... he was a.m.a.z.i.n.g. Glad you had a great time. That venue is freaking fantastic, Welly needs an indoor/outdoor venue like that. Did you like the opening act?